Snow diverters are useful when it comes to protecting pipe vents and other roof top protrusions. The Sno Shield Pipe-Style Snow Diverter is a small 2' snow rail section used with two adjustable deck mounts that are bolted down into the roof decking. Use this product where the snow will not reach higher than the snow rail (6"). If you live in an area where this is the case then it is best to use the regular pipe diverter that will split the snow and ice away from the roof protrusion. 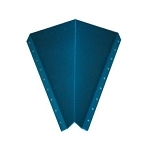 One challenge triangle shaped snow diverters face is its inability to adjust easily with varying widths between metal roof seams. 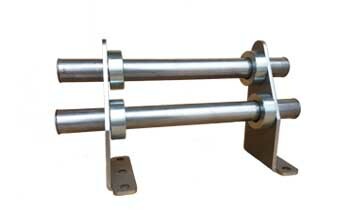 System does not come with end caps, the pipe is made of galvanized steel; therefore, it will not rust.